There’s no doubt about it: our world is data-driven. Virtually every choice we make is informed by data, whether it’s an everyday purchase, an important trip, or a big life decision. But despite this fact, businesses large and small are still failing to fully capitalize on the huge amounts of customer data available to them. Of course, some businesses have caught on to trends in data visualization. They’ve learned that by creating Microsoft Power BI reports, they can help foster a “data culture” in their organization. By creating a data culture, employees will naturally begin to utilize the available metrics and customer data in your organization’s CRM for making business decisions. The more that employees are presented with relevant data which can inform their decision making, the more likely your organization is to make profitable, competitive decisions. But how do you foster a data culture in your organization? 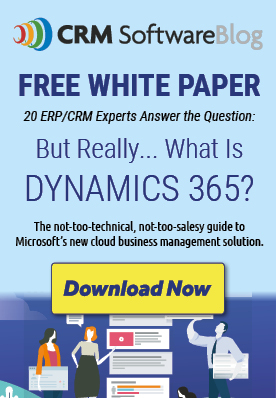 The technology piece is surprisingly easy: Microsoft Power BI integrates seamlessly with Dynamics CRM, as well as other CRM solutions and Microsoft products. Below, we’ll outline five easy steps to get your organization on track when it comes to using data effectively. Before diving into the technical aspects of generating Power BI reports, there’s an important first step to take. You need to decide what questions you want to actually ask your data. What data exists that you haven’t analyzed yet? How do you want to use this data to make decisions? For example, could you use existing data about your best customers to help you target new prospects? Take note of some of the questions you want to ask before moving forward. Now, on to the technical aspects of accessing your data. 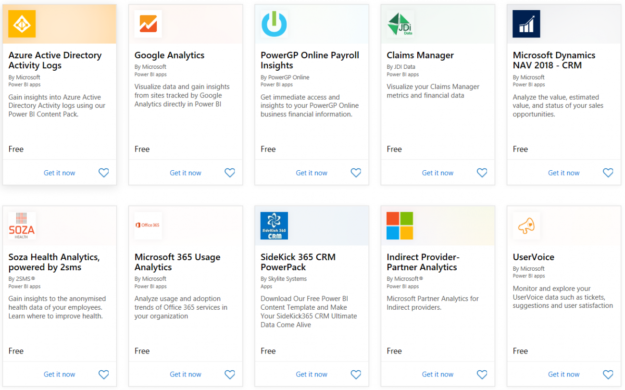 Regardless of which CRM you use -- whether it’s Microsoft Dynamics CRM, Salesforce, or another program -- Microsoft Power BI makes accessing your data easy. 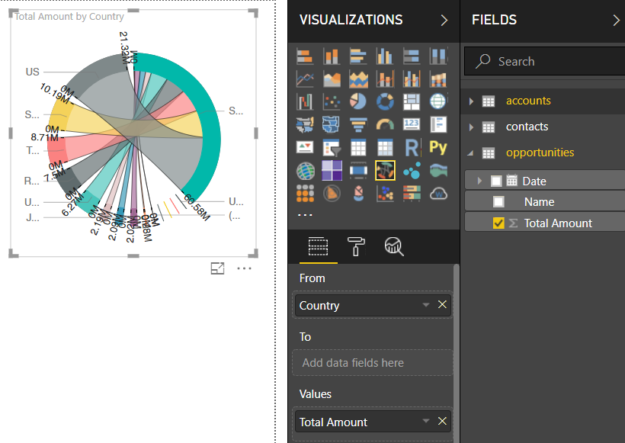 Power BI connects automatically to the vast majority of popular CRMs, and it can even be linked directly to a database for real-time and/or automated reporting. Once Power BI is connected to your CRM of choice, you can proceed to the next step. Looking at data isn’t always fun. In fact, poring over spreadsheets for hours at a time can be mind numbing. You can only look at rows and columns of numbers for so long before everything starts to blur together. And, of course, presenting data in this form to your organization’s employees is unlikely to inspire data-driven decision making. 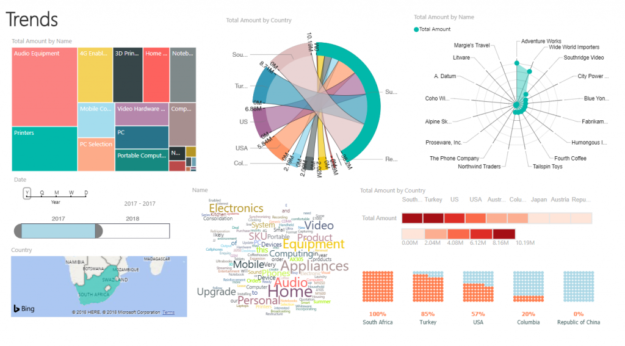 With Power BI, you can create stunning visual reports and share them with team members in a flash. Drag-and-drop functionality allows you to create a wide array of visualizations using a range of business data. Options include bar charts, stream graphs, and even complex radar charts. It’s easy for a spreadsheet of data to get lost in the shuffle. But with Power BI, you can ensure that team members are tagged and have access to the reports they need. With your team connected to Microsoft Office 365, tagging a team member on a report is as easy as using the @mention feature. Congrats! Your organization is now using data to make smarter decisions. The next step is to refine your data collection and analysis processes over time. As more users within your organization begin to actively participate in data analysis, you’ll begin to build a data culture within your organization. Are you ready to become a full fledged data-driven company? Looking to integrate Power BI into your organization’s processes? Contact AKA Enterprise Solutions today and learn how we can help! Hi I’m using PB in daily work, thanks for some tips wich I can implement.